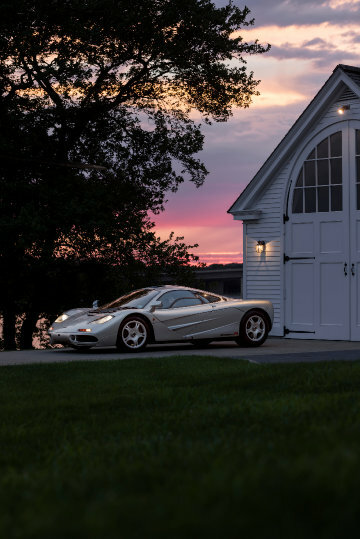 A 1995 McLaren F1 will be one of the star attractions at the Bonhams Quail Lodge classic car auction during Monterey Week in mid-August 2017. 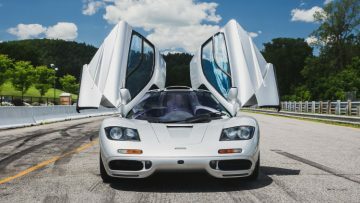 A rare, US road-legal 1995 McLaren F1 will be one offer at the Bonhams Quail Lodge 2017 sale on 18 August 2017. 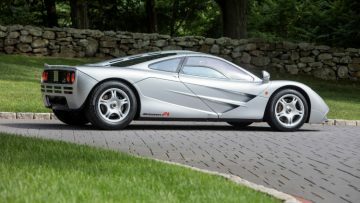 This car was the 44th of only 64 McLaren F1 road cars ever produced and was the first to be fully federalized for road use in the USA. This single-owner car is highly original without later modifications and has covered less than 10,000 miles since new. 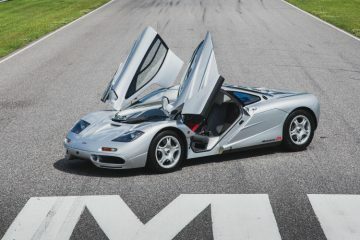 Bonhams surprised by announcing the consignment of a rare and enormously significant McLaren F1 to its auction in Carmel, California, in August 2017. 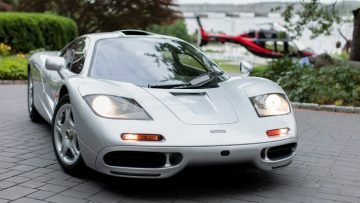 Known by many as the ultimate road car, the 1995 McLaren F1, number 044, is the very first McLaren F1 imported into the US and the very first of only a handful of F1s to become fully federalized as a US road-legal car. Of great historical importance, not to mention its tremendous performance capabilities, 044 is being offered by its original owner with an extensive list of factory accompaniments and service history from new, including a 2017 service performed by McLaren. Designed by South African Gordon Murray, the F1 was created with exotic materials and advanced construction, incorporating such novel features as a centrally positioned seat for the driver and twin Kevlar fans to create downforce. Featuring the world’s first carbon fiber reinforced plastic monocoque, the F1 spared no expense to achieve its goals for road supremacy. Furthering the cost-is-no-object philosophy, gold insulating foil was installed around the engine bay to ensure optimal heat containment—all of which helped the street car achieve a world record top speed of 243 mph (391 km/h). Only 64 street legal F1s were built, paving the way for a remarkable but relatively brief career in racing. In short, the levels of expertise, detailed craftsmanship and performance had only ever been encountered at the apex of the racing world, Formula One, but never before in a road car. The McLaren F1 was the very first. Similar to the legendary Ferrari GTO, the McLaren F1 dominated and defined an era. Today, these rare, world-changing supercars almost never come up for sale – let alone one that has never had an accident – and it is very likely there will never again be an opportunity to purchase a single-owner F1 with such provenance and history. 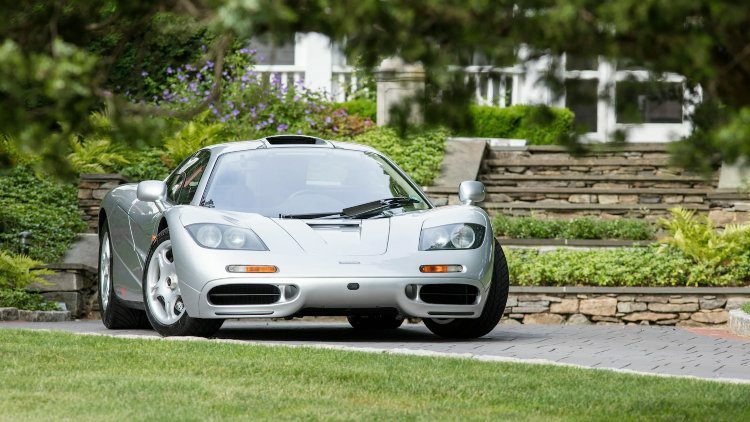 No estimate has yet been released but a non-federalized McLaren F1 set a then marque record of $8.5 million at the Gooding Pebble Beach 2013 sale. Since then, the marque record was increased to $13,750,000 by a McLaren F1 in Le Mans Specification at the RM Sotheby’s Monterey 2015 sale. Several McLaren P1s – generally good for at least $2 million – will be on offer at the various Monterey Week auctions but it is highly unlikely that another F1 will appear at any other auction soon.